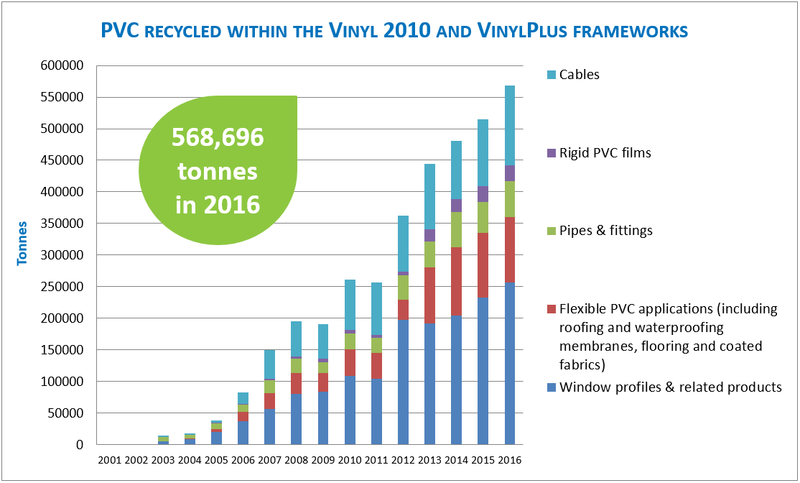 Brussels, 18 May 2017: The PVC industry is making real progress towards sustainability and a positive contribution towards a circular economy through a united industry approach. Organised by VinylPlus, the European PVC industry sustainability programme, this year’s Sustainability Forum was held on 10 & 11 May under the title ‘Towards Circular Economy’ where many growing opportunities were explored and discussed for the PVC sector to contribute to this key objective of EU policy. The forum attracted more than 170 stakeholders from 30 countries representing academia, government bodies, the UN, the European Commission, specifiers and all sectors of the PVC industry. 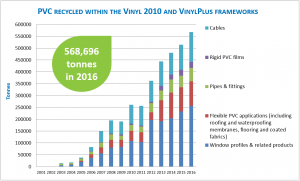 European Plasticisers, one of the four founding members of VinylPlus, attended the event where Manager, Jean-Luc Wietor, was interviewed on the benefits of flexible PVC and VinylPlus’ achievements. Explaining how flexible PVC can be reused and recycled into a wide range of applications contributing to energy efficiency and a circular economy, Jean-Luc Wietor commented: “European Plasticisers is very proud of VinylPlus’ achievements in recycling and especially the work done to increase awareness on the recyclability of flexible PVC”. Plasticisers and flexible PVC also contribute to the achievement of the United Nations’ sustainable development goals. For example, plasticised PVC is used in membranes to preserve water, as well as in irrigation hoses and greenhouse roofing films essential in the agriculture sector who are currently face the challenge of feeding the world’s growing population. For more information about the Vinyl Sustainability Forum 2017, click here. For the VinylPlus Progress Report 2017, click here. As the voice of the European plasticisers industry, European Plasticisers provides evidence-based information on plasticisers and promotes their use and benefits in everyday life. Member companies are BASF, Deza, Evonik Performance Materials GmbH, ExxonMobil, Grupa Azoty, LANXESS, Perstorp and Proviron. European Plasticisers is a Sector Group of Cefic, the European Chemical Industry Council, which represents the interests of the European chemical industry.